The last couple of days have been about experimenting with vinyl (dark material in top left picture) while I’m awaiting a shipment of soft lino. Wonderful advantages with vinyl as it really is soft and easy to cut. I decided to use this material to work on my designs and composition. I’m pleased with these cheeky chaps so far. 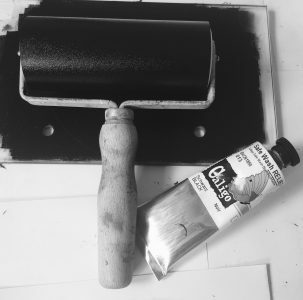 That’s the buzz about printmaking for me; when you lift up the paper from the inked block ‘Ta da!’ Nothing is wasted. Below left I’ve used some prints to create cards. I was inspired by a friend who is absolutely mad about hares so I’m sure that one of these will be leaping it’s way to her very soon. 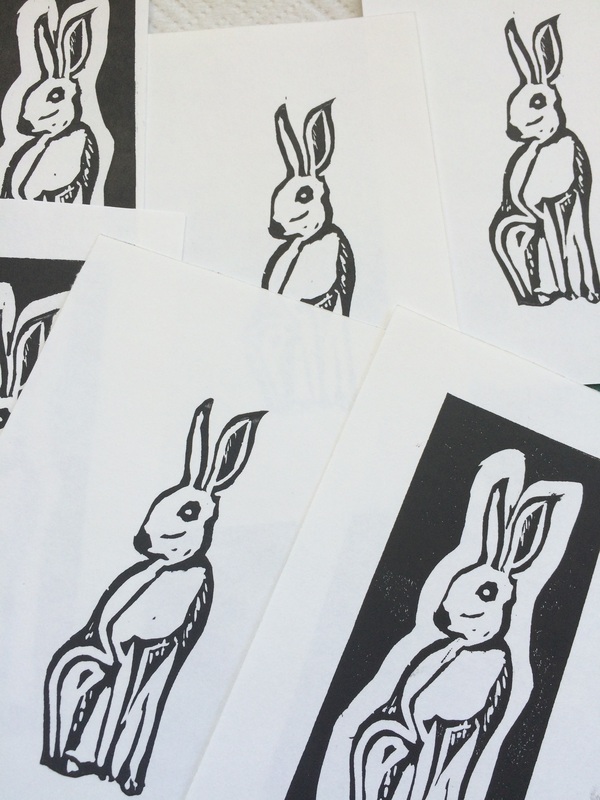 Make someone’s day with a handmade relief print while you continue to experiment with your images and hone your skills. You can start small, grow your images while growing your skills. For these prints I used two small rectangular pieces of vinyl, cut to the same size using a scalpel (scissors would do). The image was copied onto tracing paper and turned over to transfer the image onto one of the rectangles. I then cut out everything except the hare. 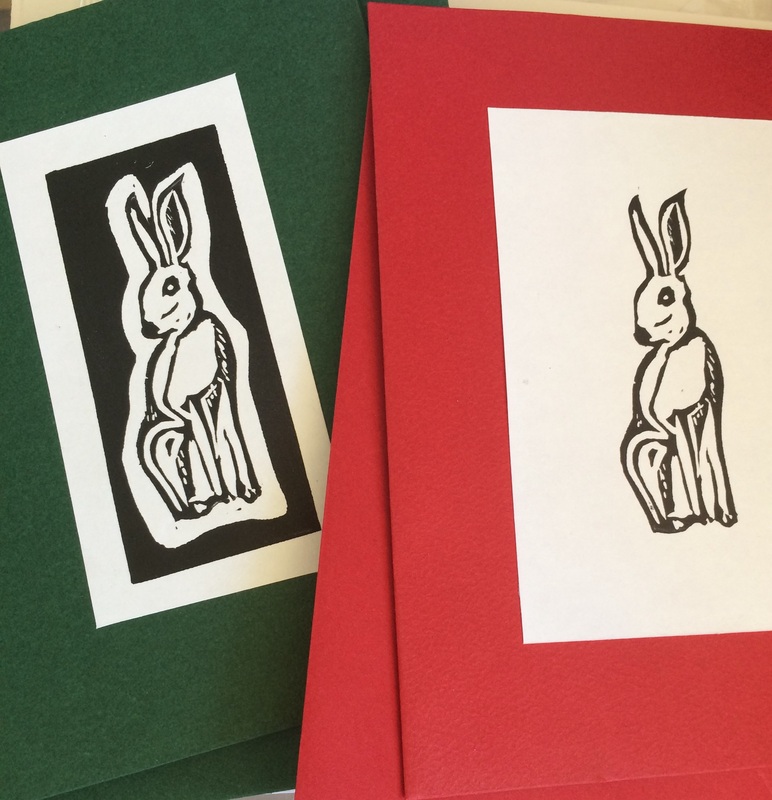 On the other piece I drew round the hare leaving extra white area which I cut out. Then I just experimented with printing the two together and individually. If you’re as passionate about printmaking as I am, I’d love to hear how you’re getting on. Enjoy!